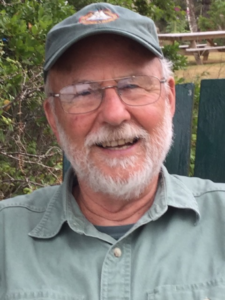 Mid-Coast Audubon will host a talk by naturalist and educator Mike Shannon, who will discuss the annual courtship and life cycle of the American woodcock at 7 p.m. Thursday at the Camden Public Library, 55 Main St.
Shannon is a lifelong naturalist, storyteller, educator and Registered Maine Guide. The program is free and open to all, but donations are encouraged. For more information contact the library at 236-3440. Some 73 businesses and organizations have registered to participate in the 2019 Rockland Regional Spring Hiring Fair to be held from 3:30 to 6 p.m. Wednesday at South School, on 30 Broadway. Employment opportunities include from entry to senior level, full time and part time, year-round and seasonal, skilled labor, technical, customer service, hotel and hospitality, corrections and law enforcement, clerical, professional/certified and advance degree, retail, restaurant and food service, healthcare, banking, environmental and janitorial, travel and transportation, indoor and outdoor jobs, manufacturing, research and development, landscaping and lawn care, mechanical, bookkeeping, design and printing, marine and maritime, volunteer opportunities, museum collections and art, construction and maintenance, community outreach and economic development, call center, communications, party planning, education and outdoor recreation. Applications and on-the-spot interviews will be offered, and resumes will be collected. The event is free and open to the public. All ages, all skills, all backgrounds are encouraged to attend. The first 200 attendees will receive a free, reusable shopping bag, while they last. Children age 12 and younger are invited to come find the Easter eggs filled with treats, and they are welcome to bring their grown-ups along. In addition to Easter Eggs, children may also find small bags of pet treats that will be delivered to the Knox County Pope Memorial Animal Shelter. The event will be held rain or shine and is free of charge. Prizes will be given to the child who finds the most pet treats. West Bay Rotary’s annual eWaste+ collection event fundraiser will be held from 9 a.m. to 2 p.m. Saturday in the parking lot of the old Rockport Elementary School at Route 1 and Route 90. The event will accept electronic waste, provide secure document shredding with an onsite shredding truck and offering prescription drug disposal with the help of local police. Coastal Opportunities will also be collecting gently used clothing during the event. Although there is no cost to participate, this is an important fundraiser for West Bay Rotary and your contributions are their only source of income for this event. Net proceeds will benefit charities and non-profit organizations. For more details, email [email protected] or visit www.WestBayRotaryofMaine.org or www.facebook.com/WestBayRotary. Children’s and teen programs will include a Mother Goose Storytimes for ages 24 months and younger at 10:30 a.m. Monday and Wednesday; Toddler Storytime for ages 2 to 5 at 1:30 p.m. Tuesday; a Stuffed Animal Sleepover at 6 p.m. Tuesday; Earth Day Crafts for Kids, held from 2 to 4 p.m. Thursday; and an Earth Day Scavenger Hunt for Kids held from 2 to 4 p.m. Friday. For adults, there will be a “[email protected]: Potted Succulents” class at 6 p.m. Tuesday. This class, will offer patrons an opportunity to learn more about succulents and each attendee will leave with a potted plant. Registration is required, as space is limited. These are free events, sponsored by the Friends of the Wells Public Library. For more details, email Andrea Kazilionis at [email protected] or call the library at 646-8181. The Otisfield Historical Society will present a special historical program at 7 p.m. Thursday at the Otisfield Community Hall. Following the groups annual election of officers and other brief business, Pamela Hodenburg, of Bridgton, will then enlighten the audience with “Otisfield’s Seamstress,” an account of the life of her great-grandmother, Nellie Chute Edwards, as revealed in Nellie’s diary. Born in 1859, Nellie Edwards, as the title suggests, was an industrious woman who spent her entire life in Otisfield. The journal gives day-by-day details of life more than a century ago, when wives were expected to stay home but also found a variety of ways to add to the family’s income. The New Gloucester Historical Society will host a talk by speaker Amy Whitmore, of the Morrison Agency, a Southern Maine social service agency, at 7 p.m. Thursday at the New Gloucester Meetinghouse, at 389 Intervale Road, Route 231. The talk is free and open to the public. Refreshments will be served.